Sorry about the two 'Monday hero-less' weeks, I was in Italy. Every year in Bologna in spring, the international Children's Book Fair is held. 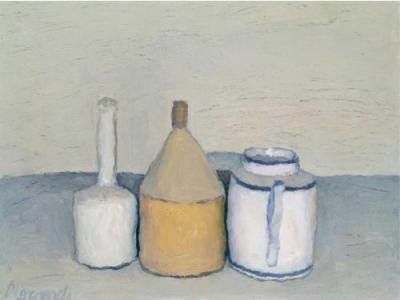 But Bologna is also the city of the Italian painter Giorgio Morandi (1890-1964). 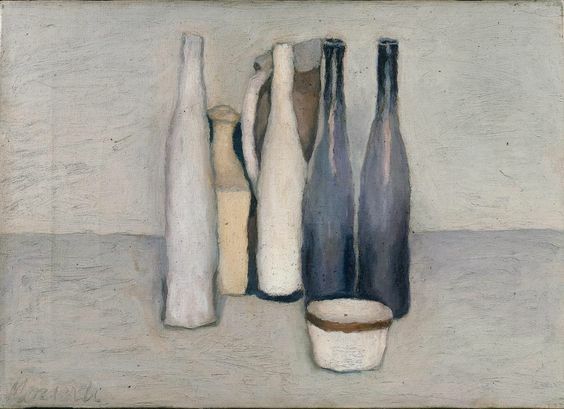 This year we didn't manage to go to the Morandi museum there, but I'm getting a second chance, as the Museum Belvédère here in Holland is showing his work this spring. 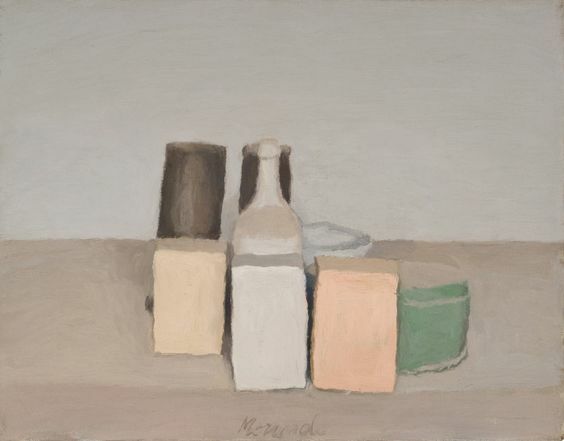 I am always curiously attracted to Morandi's work. 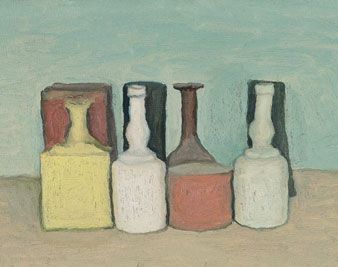 Curiously, because almost all his paintings are still lifes of roughly the same objects: bottles, pots and blocks, in a very tight composition. And yet, composition and colour are invariably just right.